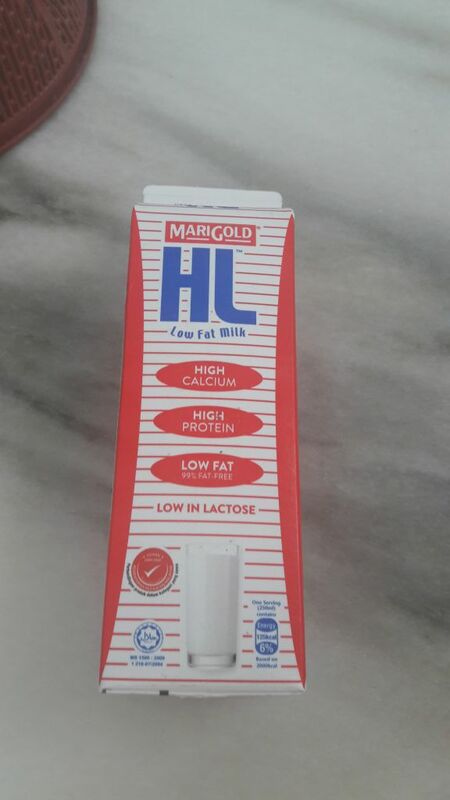 MARIGOLD HL Low Fat Milk is more than just ordinary milk. 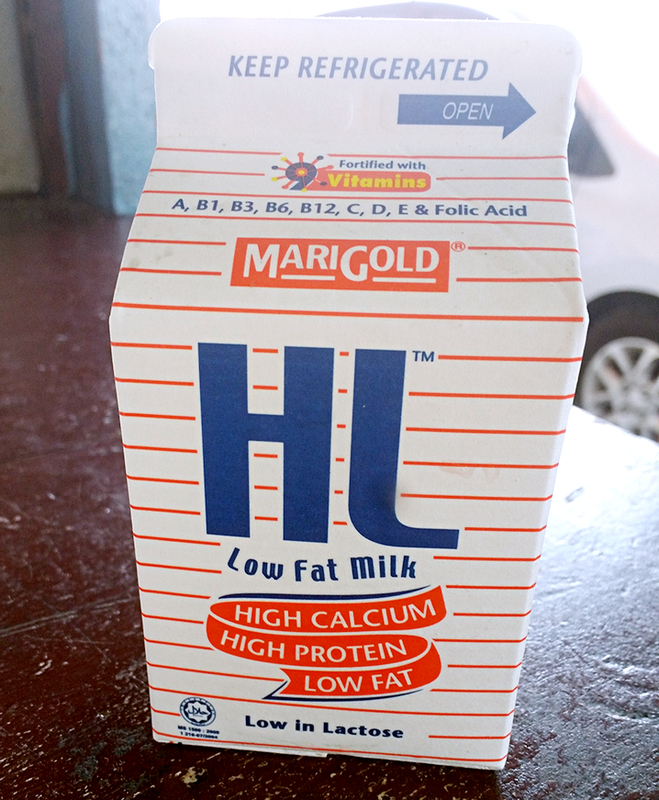 With every glass of MARIGOLD HL Low Fat Milk, you’ll definitely enjoy more nutritious goodness of a wholesome milk like no other. This super-nutritional milk has 25% and 56% more calcium and protein respectively, to give you all the nutrients needed to stay extra healthy and active. It is also fortified with 9 essential vitamins A, B1, B3, B6, B12, C, D, E and Folic Acid to give you more of the nutritional benefits your body needs. 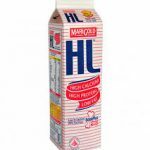 That’s not all, MARIGOLD HL Low Fat Milk gives you more benefits and more health with low fat and low lactose. 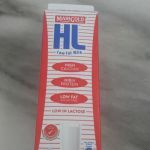 MARIGOLD HL Low Fat milk contains only 1% fat compared to ordinary milk with 4% fat to help keep you staying healthy, slim and trim. 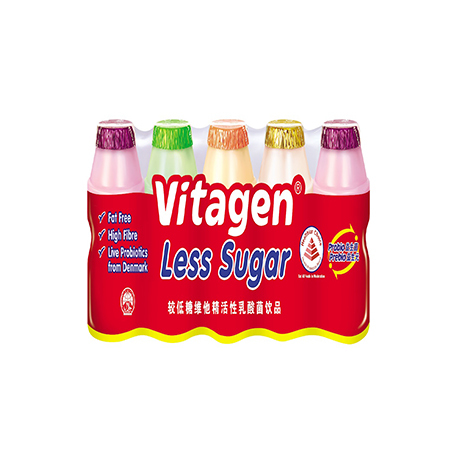 With 75% less lactose, it also goes easier on your tummy and is suitable for people with lactose intolerance who may experience digestive discomfort like gas, bloating and diarrhea with ordinary milk. 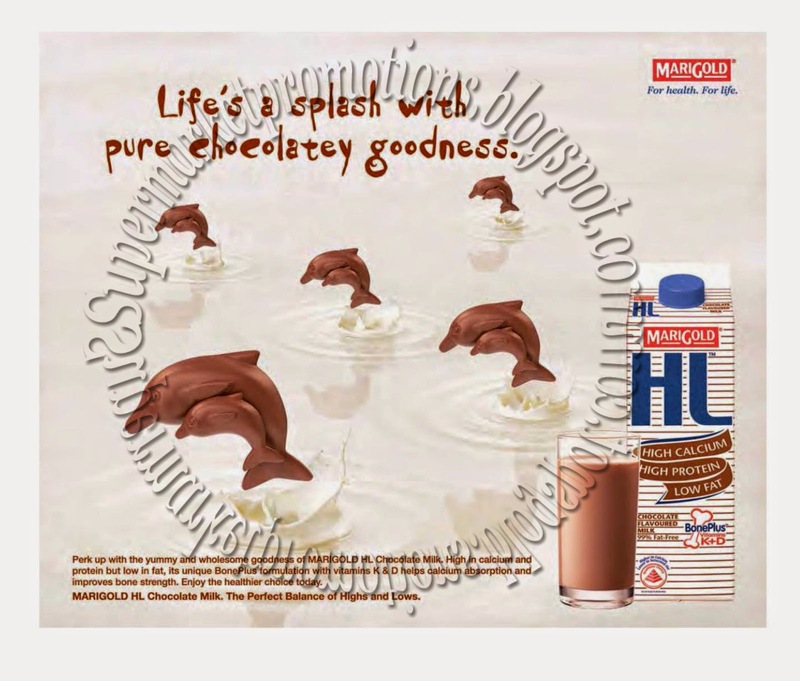 With all these goodness of ‘MORE’, MARIGOLD HL Low Fat Milk is indeed a ‘Supermilk’. And if it’s great for you, it has to be perfect for your kids too. 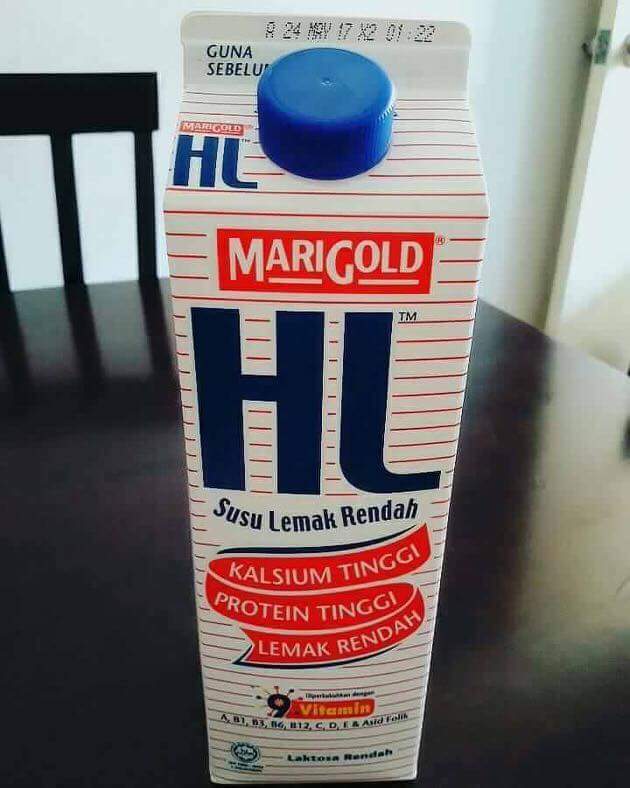 This is why MARIGOLD HL Low Fat Milk is no ordinary milk. We make milk better. 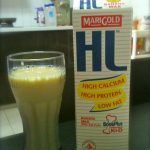 Start your day healthy and active with MARIGOLD HL Low Fat Milk. 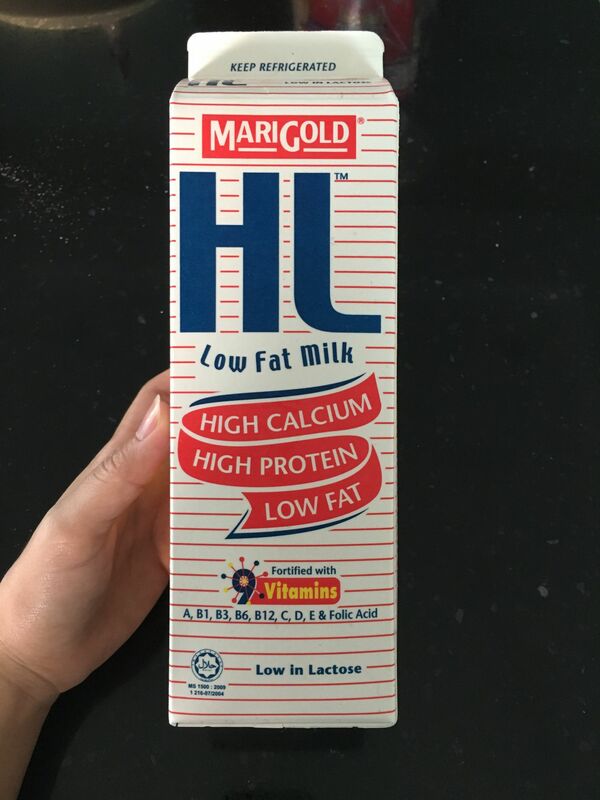 Manage your balanced diet of eating-out with MARIGOLD HL Low Fat Milk for the rest of the day and end the day with a glass of MARIGOLD HL Low Fat Milk for a more restful sleep. 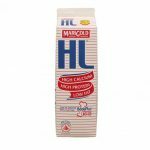 MARIGOLD HL Low Fat Milk is available in Plain, Chocolate and Strawberry; as well as Plant Sterols that helps to lower cholesterol levels. 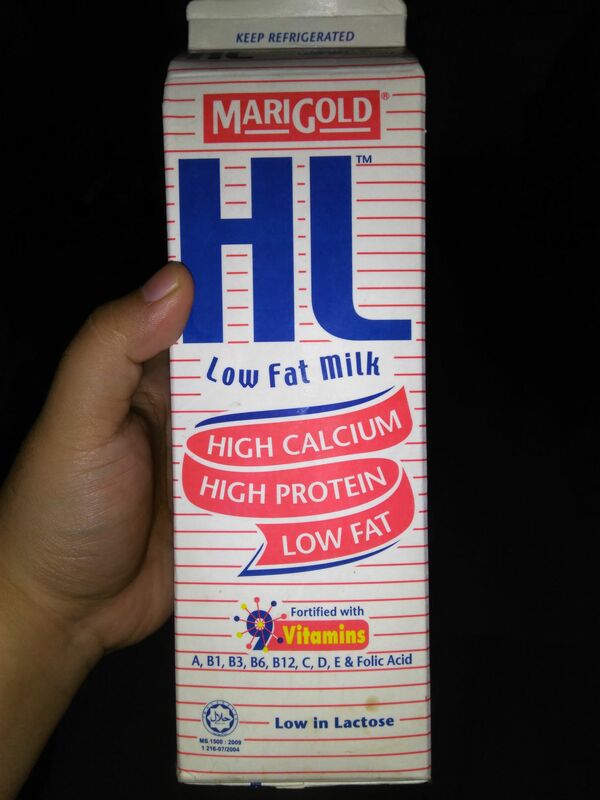 MARIGOLD HL Low Fat Milk. The Perfect balance of Highs and Lows. Never a Milk Lover - but will only drink this one! I don’t like taking milk. perhaps the taste of the texture, I only prefer soy milk. But this is the only milk i will grab if i am at the supermarket because of the vanilla bean taste! and the texture is more creamy too! 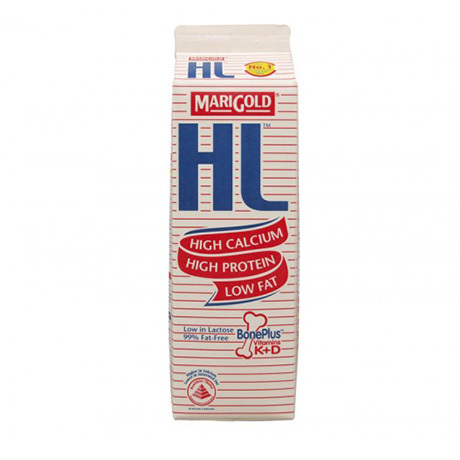 I’ve been consuming Marigold HL low fat milk for as long as I can remember. I’ve tried all 4 flavours – plain, strawberry, chocolate and banana, and my favourite is the chocolate flavoured milk. As someone who’s conscious of my weight, the low fat milk is definitely a good choice to satisfy my sweet tooth yet at the same time maintaining my weight. I don’t really like the plain flavoured milk though, the taste just doesn’t appeal to me. I recently tried warming up the milk because of boredom and to my surprise, it was great! The warm fuzzy feeling that encapsulates you when you indulge in a cup of warm milk, I still can’t get over it! 5 stars for Susu HL! 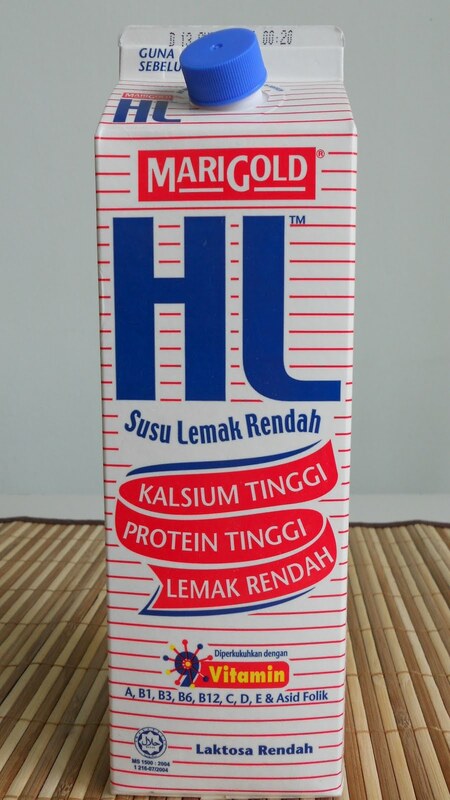 Favourite susu sejak mengandung sehingga sekarang! 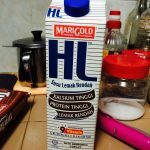 since pregnant, mmg setiap hari consistant ambil susu HL segelas setiap hari! sedap! tak manis sangat. Bila sale je susu HL ni, wajib grab berkotak. stok! husband pun minum sekali. My favourite milk so far. Sedap tak macam susu lain..
Tentunya susu HL pilihan terbaik saya dan keluarga setiap pagi dan malam, baik untuk kesihatan harian dan sangat sedap, tak muak. 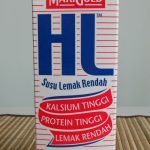 Rasa susu hl ini berbeza dari susu brand yg lain..susu hl ni rasanya mcam vanila..sangat sedap..harga nya pon berpatutan..
marigold hl low fat milk -my choice for my family. We love the taste of the milk and also the benefit of consuming this milk.The healthy content assure us to continually buy it for our family daily consumption and even recommend it to our friends and relatives not to miss out this healthy milk. 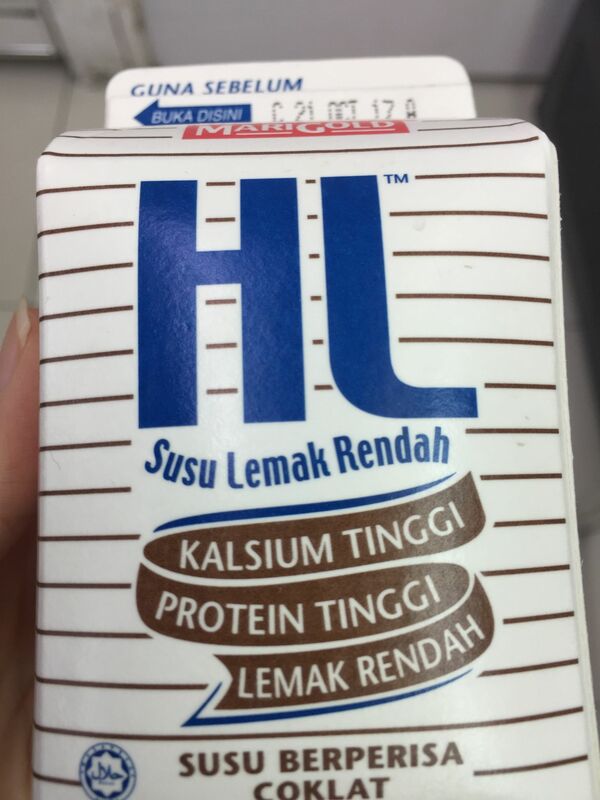 Susu hl ini boleh dapat di mana mana pasaraya .tapi i sangat takut bau susu yang kuat .minum banyak brand tapi tak da satu brand yg sesuai dengan saya .cuma hl ini dapat menambat hati saya .i dah minum susu hl lebih dari 10 tahun ,tetap sedap rasanya . Juga boleh dimasak dengan roti goreng , kek ,kuih ,roti ,pau ,manisan seperti agar agar dan boleh masak kegunaan kari dan lain lain. Milk is a good source of calcium and this one can provide what we need. 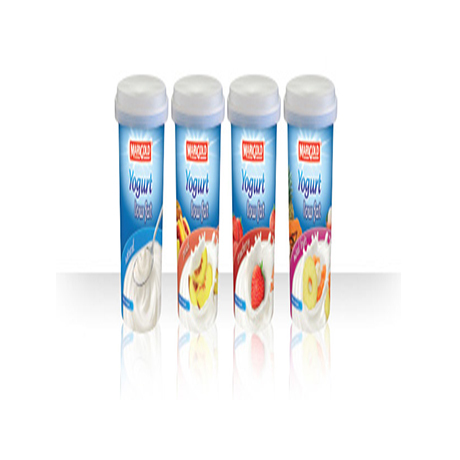 Taste good is the key as some people may dislike the milky taste or smell of a dairy products. Take it everyday will gives us the benefits that our body needs. susu ini sangat sedap diminium. 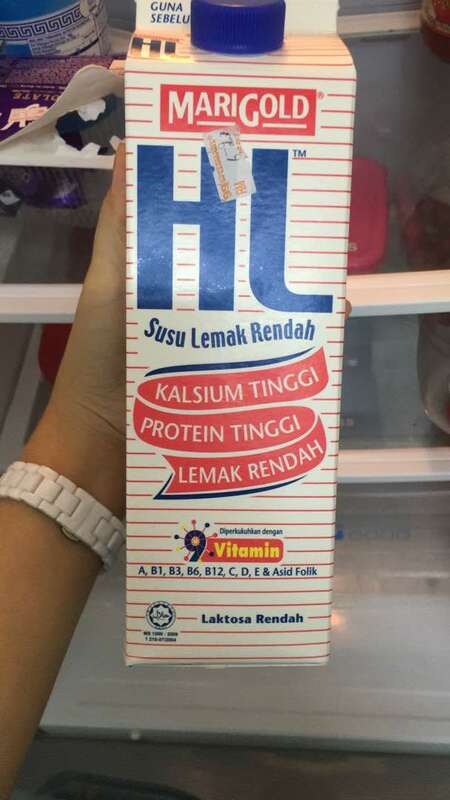 saya lebih suka minium susu ini berbanding dengan susu lain, susu ini boleh dijadikan sarapan pagi atau minium sebelum tidur. 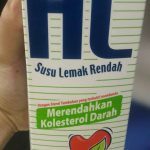 Susu low fat ini bila minium tak perlu risau tentang fat yang ada dalam susu, rasa lebih sihat. 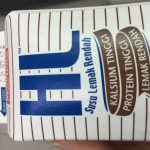 Susu yang sedap dan berkualiti kena dengan harga yang berpatutan. 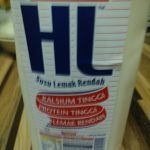 Diperkaya dengan protein dan kalsium yang tinggi serta rendah lemak membuatkan ia menjadi pilihan saya setiap masa dan dimana jua. Antara minuman yang wajib saya beli setiap minggu. HL Marigold low fat milk is one of my prefered UHT products. It have a good taste original flavour and contain high in calcium. This product has been my favourite as it is low in lactose which result in a better digestion and prevent from stomach ache not like the other milk product as from my experiences. 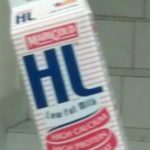 Drinking HL milk gave out some vanilla taste which resulting in a better taste compared to the others. 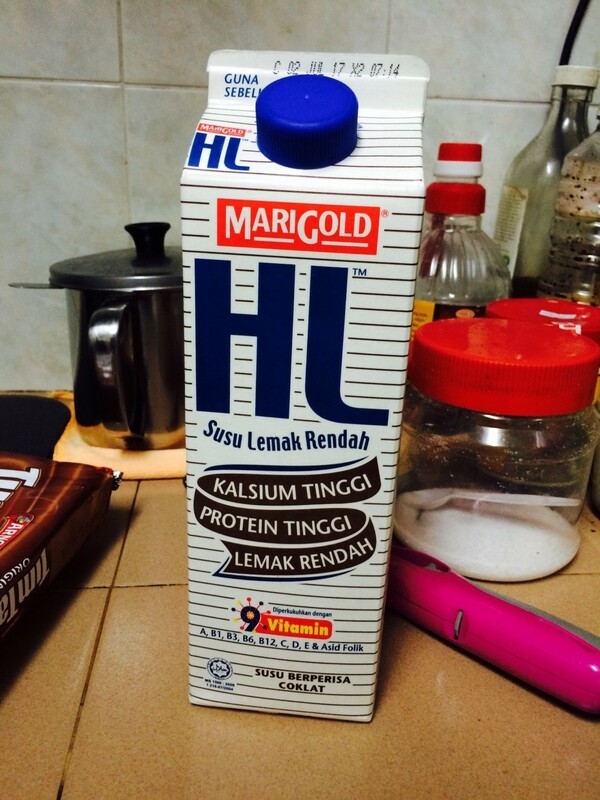 MARIGOLD HL MILK CHOCOLATE IS MY WHEY PROTEIN? ?Loss weight is how difficult to chubby people’s same goes to thin people’s to building muscle ? its really difficult and stess. But I just feel the difficult before I get know marigold HL chocolate. Since the day I get intro with HL chocolate I start make more muscle and admires Hahaha. Before when thin people’s use to call me skeleton now no more skeleton. Become a muscle man ? 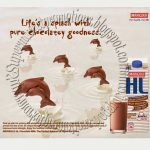 I use to drink HL chocolate for breakfast, before workout and after workout mix it with my whey protein. Very fast gain muscle and be healthy. Thanks for Marigold. Worth for the price and product quality. 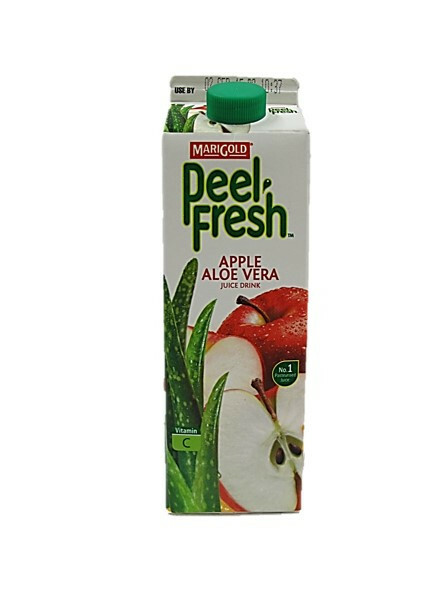 I love the taste n when add with fruits it so yummy.no regret? A part of my daily basis ! 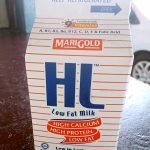 I would never say no to this Marigold HL low fat milk ! The first thing that captured my heart with this milk is the taste , they are reach in flavour and they are very healthy ! 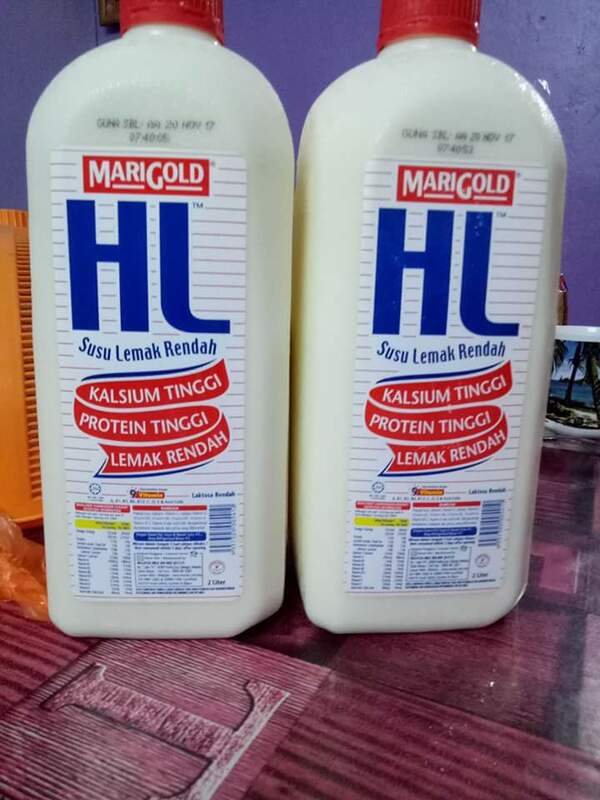 Saya suka Marigold HL Low Fat Milk kerana rasa lazat dan enak.Selepas bersukan saya mencari susu ini untuk dinikmati.Saya berpuas hati dengan susu rendah lemak marigold sangat lazat dan menyelerakan.Marigold HL Low Fat Milk membantu saya mengekalkan diet seimbang dan sihat.Susu ini sentiasa menemani sarapan pagi saya setiap hari. Susu ini semestinya pilihan tepat untuk kekal sihat. Setiap hari saya akan minum segelas susu segar. 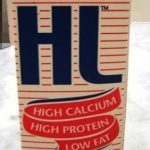 HL Milk is my favourite milk of all and I always opt for the original flavour. I love to mix it with oats as my breakfast and it tastes good that it make my day a good start of a day. 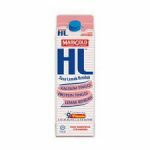 Marigolds HL low fat milk is the best milk that provides low fat and high calcium for us. 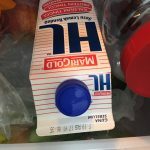 I used to buy HL milk for my fresh milk selected choice because it always have promotion in twin pack. Their espired date is more short so it consider is more fresh produce. I love the chocolate flavor more. 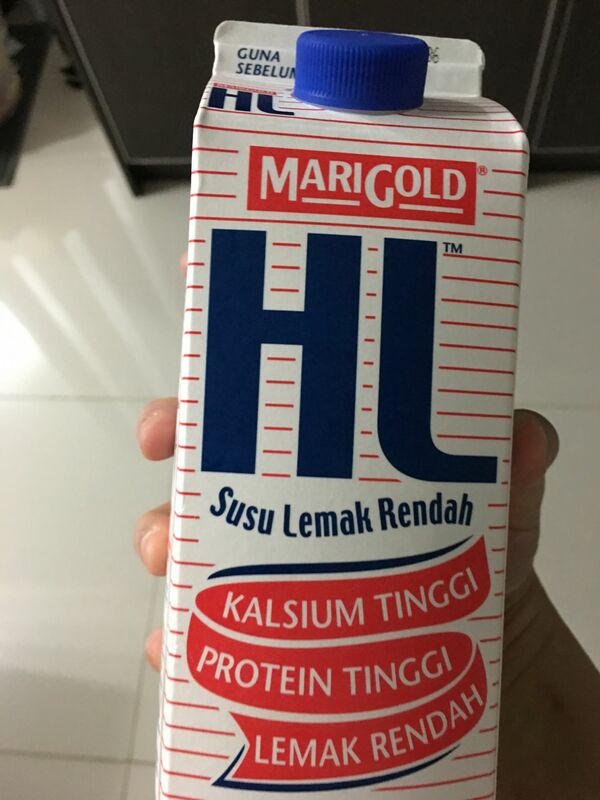 Susu pilihan sy.Sedap diminum begitu saja dan boleh digunakan utk masakan dan dessert sy.Rasanya mmg seperti susu asli yg segar.Minum bila perut kosong mmg mngenyangkan sy.Yg paling sy suka ialah susu marigold HL ni kurang kandungan lemak,sesuai utk org yg mnjaga berat badan.Saya juga gunakan susu ni sbgai milk booster ketika mnyusukan bayi,hanya kisar bersama buah kurma.Mmg sedap dan lansung tiada bau hamis.Berbaloi dibeli,harga pun berpatutan. 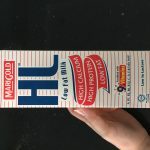 I’ve been drinking HL for the low fat and high calcium, protein. 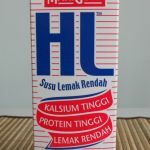 However, am not too sure about HL being the ideal milk now cos read that HL milk ingredients include milk solids which simply means milk powder dissolved in water. I am assuming natural milk is better. 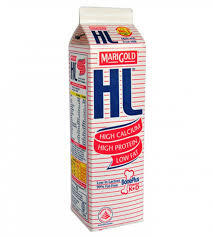 Marigold HL Low Fat Milk is nice to drink. It is available in Plain, Chocolate and Strawberry. I prefer chocolate flavors. It is low fat milk and it helps in lower down your cholesterol level. 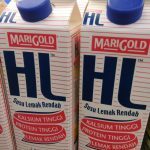 If I am rushing of time to somewhere, I will just drink a cup of MARIGOLD HL Low Fat Milk to temporarily fill my tummy up. 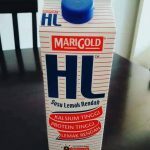 Susu rendah lemak yg sgt sedap..suka marigold low fat,kdg saya minum bila lapar tp x nk makan,ia mengenyangkn sy & rasa kenyg tahan lama..rasa sprti susu segar asli yg mngandungi pelbagai vitamin yg baik utk kesihatan tubuh badan. 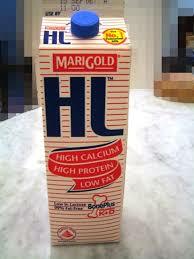 Marigold HL Low Fat Milk is very delicious and taste good which makes me feel good each time I drink this milk. The packaging is very nice and it provides calcium in order to have strong bones which is good for the health. 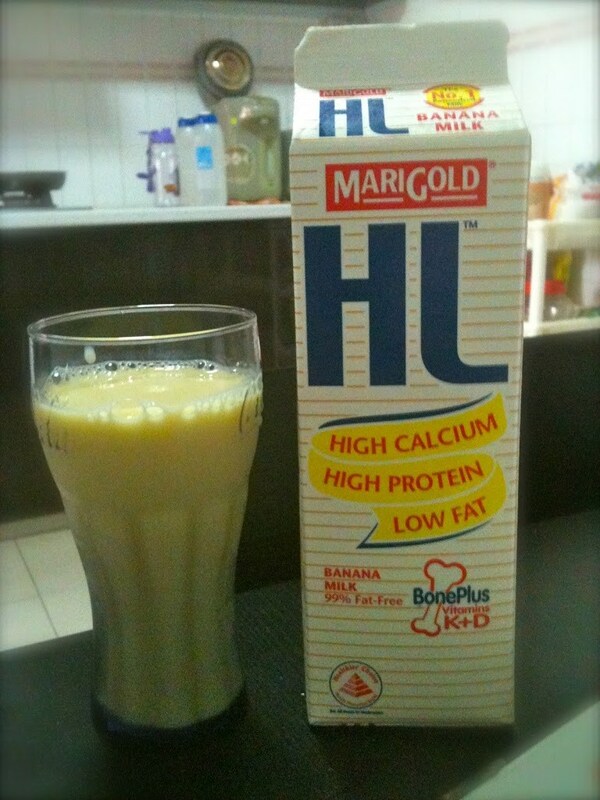 I always drink the Marigold HL Low Fat Milk in the morning for my breakfast. The packaging is very nice and easy for me to store in the fridge. I love to drink when it is still cold which makes me feel energetic throughout the day. 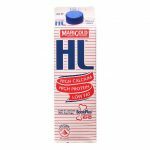 Marigold HL Low Fat Milk is tasty and the most important it is low fat milk. It is good for diet and health. I will drink it during my breakfast time. The price of the milk is affordable. 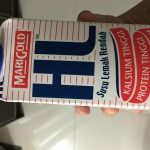 Susu segar yang rendah kolestrol namun tinggi kalsium…sememangnya menjadi kesukaan kami sekeluarga terutama isteri saya. Dia suka hidangkan bersama bijirin kesukaan anak2 diwaktu pagi. Dia juga suka membuat smooties untuk kami menggunakan susu ini selain membuat pudding & agar2 menggunakannya. 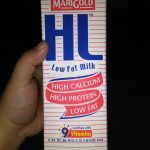 Low fat milk with High calcium ! MARIGOLD HL Milk boasts a unique BonePlus formulation with Vitamins K and D that aids in calcium absorption and improves bone strength! Good for my healthy , I drink it every morning and night before bedtime ! 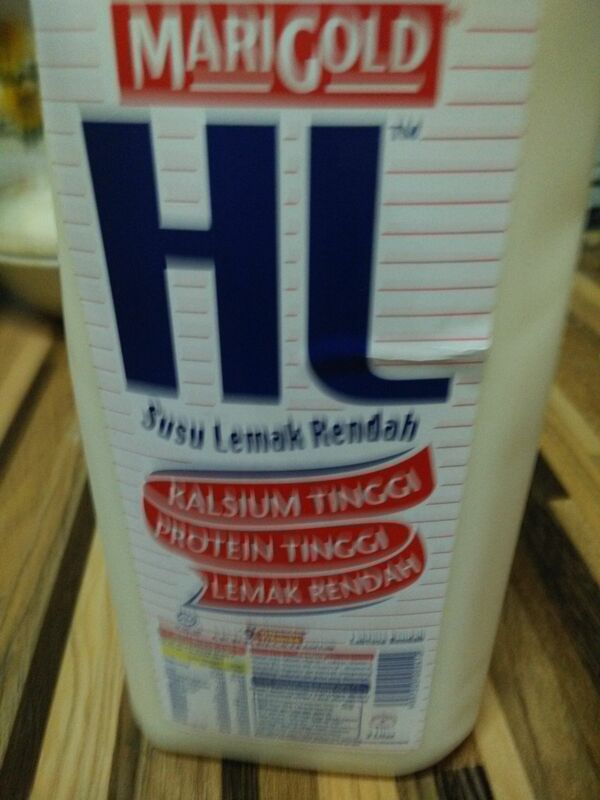 HL fresh milk is my choice, I always buy twin pack in promotion price. Reasonable price with high calcium. Easy to get from any retail shop & hypermarket. The milk is creamy, thick and smooth. The most important is it is low fat, is the best choice for those on diet like me. 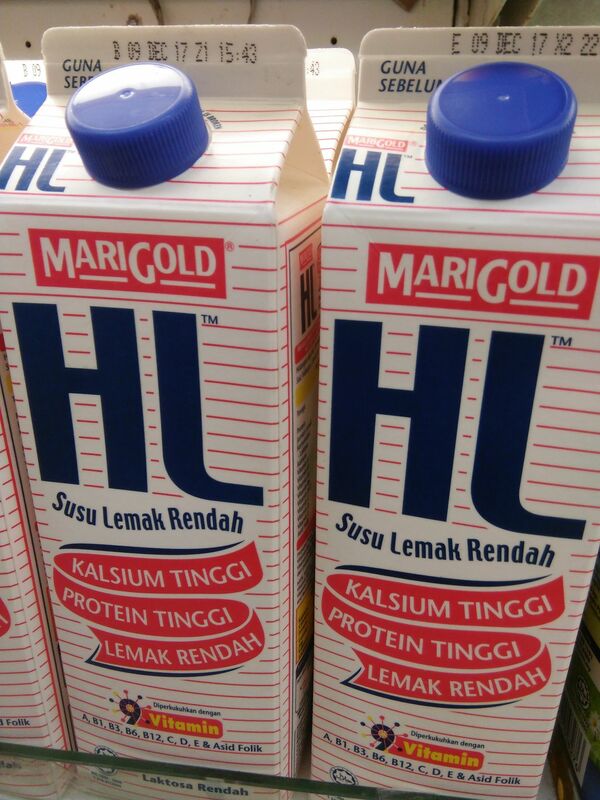 If want take low fat milk, the first brand I will choose is Marigold HL low fat milk. It’s milk won’t let you feel creamy. The taste is almost same with fresh milk from farm. This milk also easily can get at anywhere. I can feel my teeth become more strong if I drink HL every night before I go to bed. Thus I trust it is contained with high calcium! Taste very creamy and little bit sweater than other low fat milk. 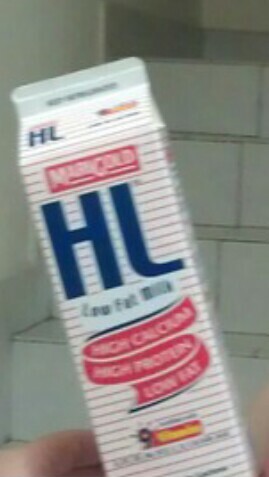 Will buy HL milk when have promotion. 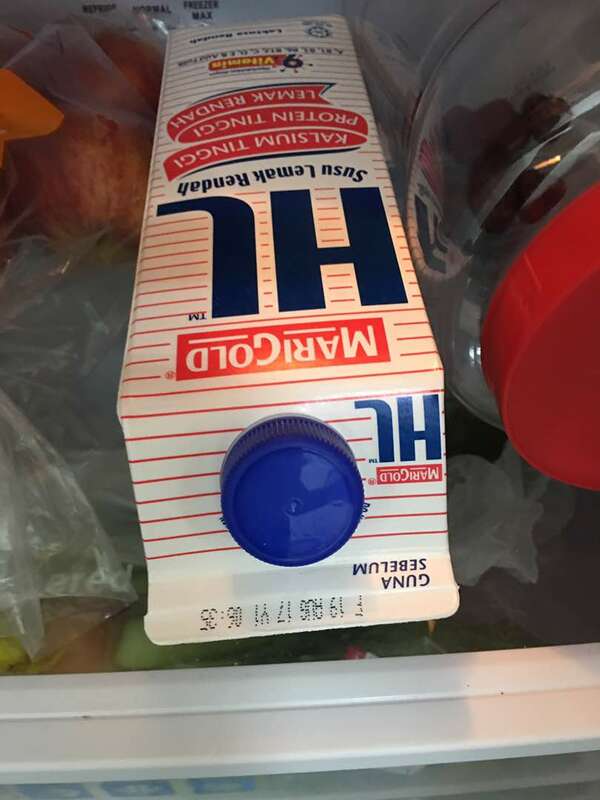 I like the creamy taste of HL milk among other brands. High calcium, high protein and the most important is low fat very suitable for me. I dislike milk that have a vanilla taste to it despite claiming that it is just low fat/normal milk. I have been cheated by branding before but this one does not have any smell to it other than normal milk you drink. The taste is creamy and does not have the smell of preservatives whatsoever. I like pouring some on my oatmeal to make my meal a lot more wholesome. As we are getting older, calcium is very important for us to maintain our fitness and stay healthy. I choose HL Marigold because it is high in calcium and protein but low in fat. 2 glass a day really makes me fit and healthy. Delicious with tasty creamy taste and it’s good for my diet too. Susu yang tertarik dengan rasanya. 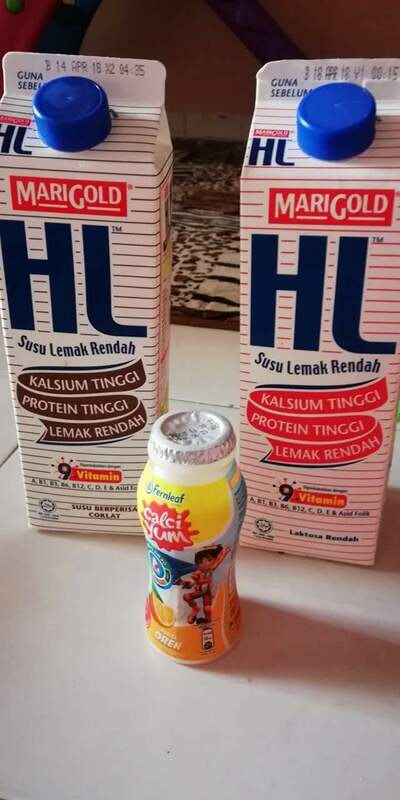 Saya suka minum susu, daripada pelbagai jenama yang saya beli saya lebih tertarik dengan Marigold HL Milk sebab rasanya yang lemak dan mempunyai khasiat tersendiri. 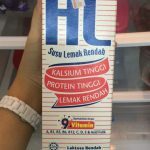 Saya akan minum susu ini bersama-sama kurma yang diblender bersama. This is a must have items in my house. My son loves to drink it mixed with cereal. 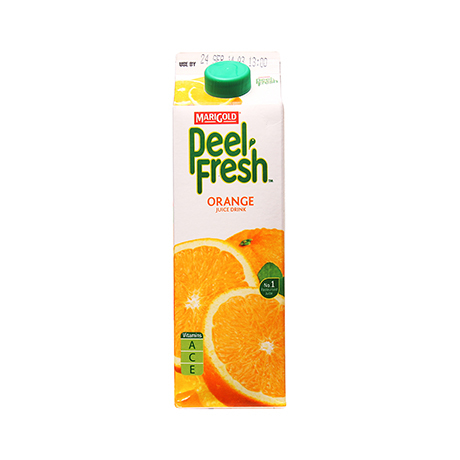 It is a healthy drink for growing kids. Contains calcium which is crucial for bone development. So nice to drink it cold. 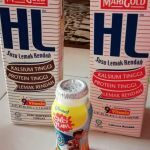 Susu rendah lemak marigold sangat lazat dan menyelerakan. Ia membantu saya mengekalkan diet seimbang dan sihat. Susu ini sentiasa menemani sarapan pagi saya setiap hari. Susu ini semestinya pilihan tepat untuk kekal sihat. 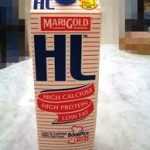 I’ve been consuming Marigold HL low fat milk for as long as I can remember. I’ve tried all 4 flavours – plain, strawberry, chocolate and banana, and my favourite is the chocolate flavoured milk. As someone who’s conscious of my weight, the chocolate milk is definitely a good choice to satisfy my sweet tooth yet at the same time maintaining my weight. I don’t really like the plain flavoured milk though, the taste just doesn’t appeal to me. I need this every morning with my breakfast and whenever I’m feeling hungry but doesn’t want to eat! The price is affordable, and it taste really yummy too! Definitely worth the price! It’s perfect for any baking or just simply drink it as it is! 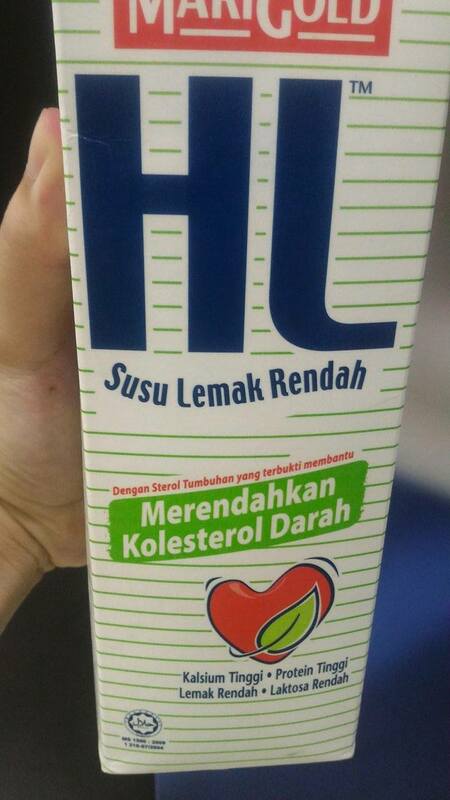 Susu low fat kegemaran CN. Rasanya memang sedap! 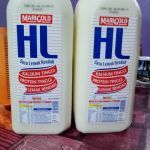 Tak pelik la susu Marigold HL Low Fat antara susu termahal di pasaran. 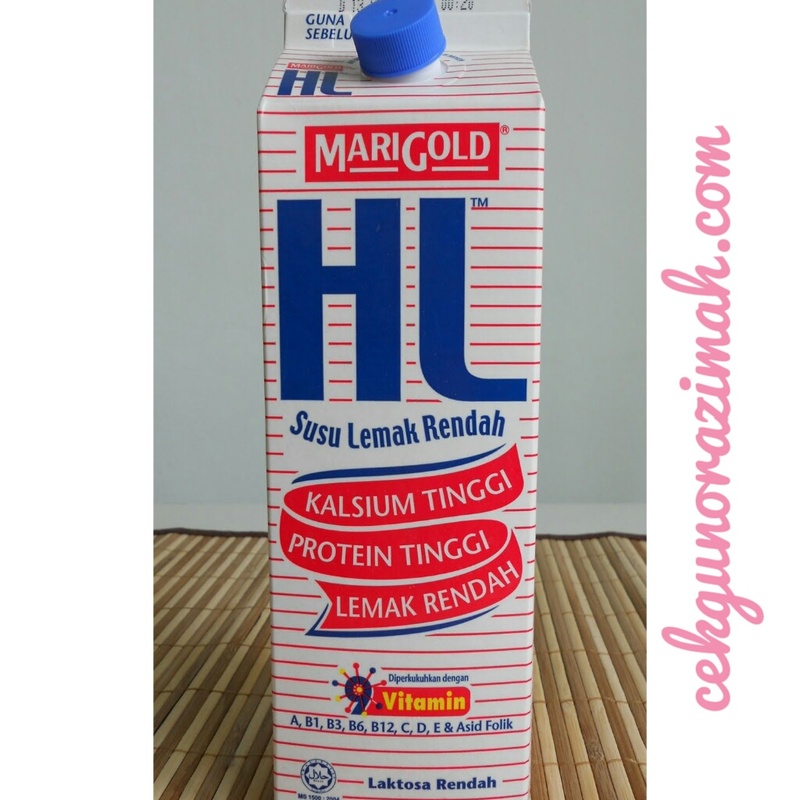 Untuk milk booster, CN blender Marigold HL Low Fat Milk bersama kurma, sangat sedap!